I was on assignment near Miami last month so I took the first flight out in search of adventure. My first thought was Miami Beach, but when I learned I would actually be closer to the Keys, my plan immediately went south, literally. I cruised down to Key Largo in a silver convertible, an accidental upgrade as a result of an oversight in my shuttle reservation along with an overabundance of them abandoned at the airport after a holiday weekend. 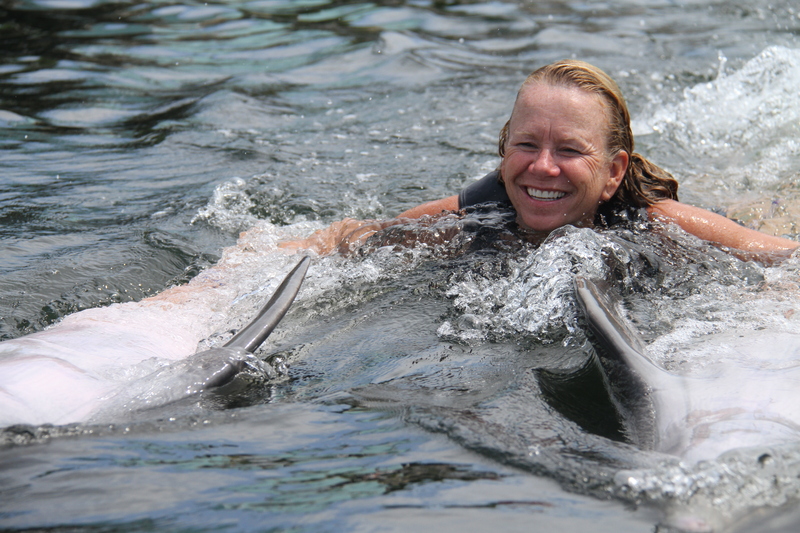 Visiting the Keys, and swimming with Dolphin were, both on my bucket list, so I took the opportunity to explore both as a kickoff to my milestone birthday celebration. It was amazing how much adventure I packed into that one day! I expected my interaction with Dolphins to be amazing, but had not considered the significance of all the people involved in the process. 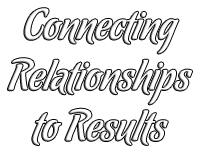 From the first phone call, through orientation, meeting my trainer and swimming with my new friends, I was inundated with enthusiasm and new information. I learned more about Dolphins in twenty minutes than I ever imagined, igniting my excitement and anticipation for my actual encounters. 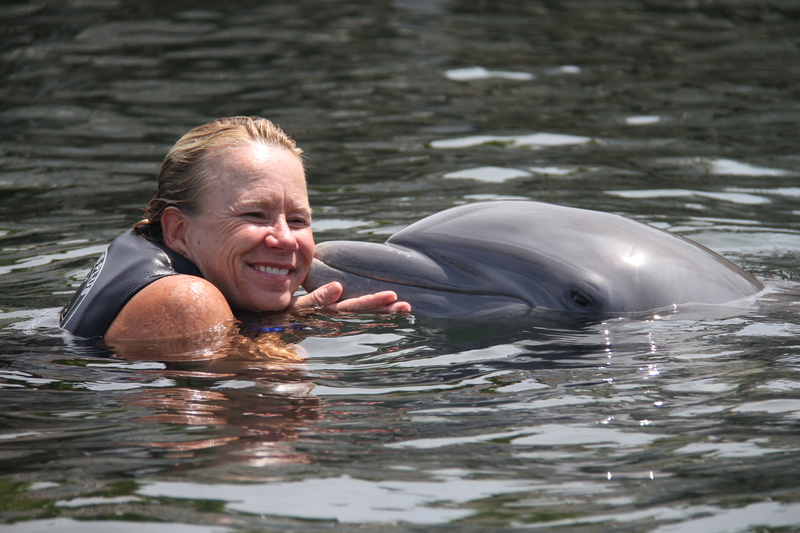 Talking with my trainer initiated an immediate cosmic connection, as she shared her story of being inspired by a speaker decades ago to pursue her passion, which immediately lead her to this lagoon of magical mammals. It was enlightening, and encouraging realizing the indelible impact our words can have on others, and the power of pursuing a dream! I was fascinated by the fact that Dolphins breathe intentionally, consciously choosing when and where to absorb air into their bodies. 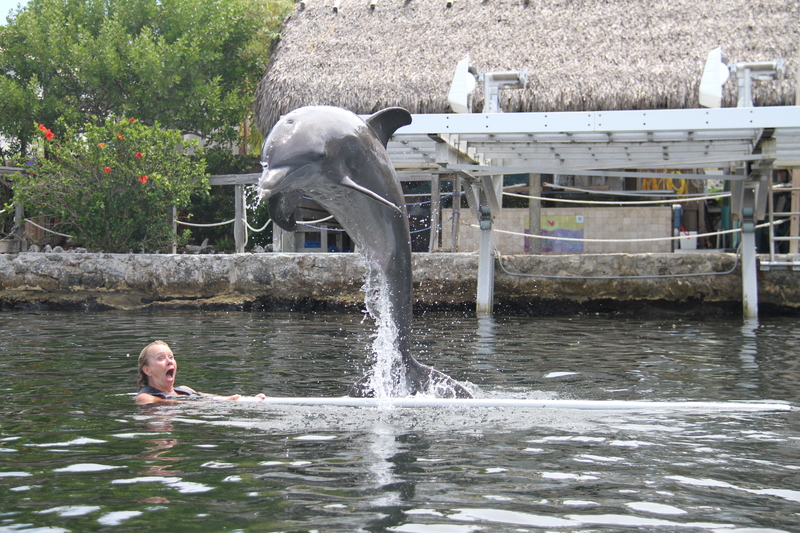 The blowhole is the only point of entry, and they selectively secure it under water for as long as ten minutes. 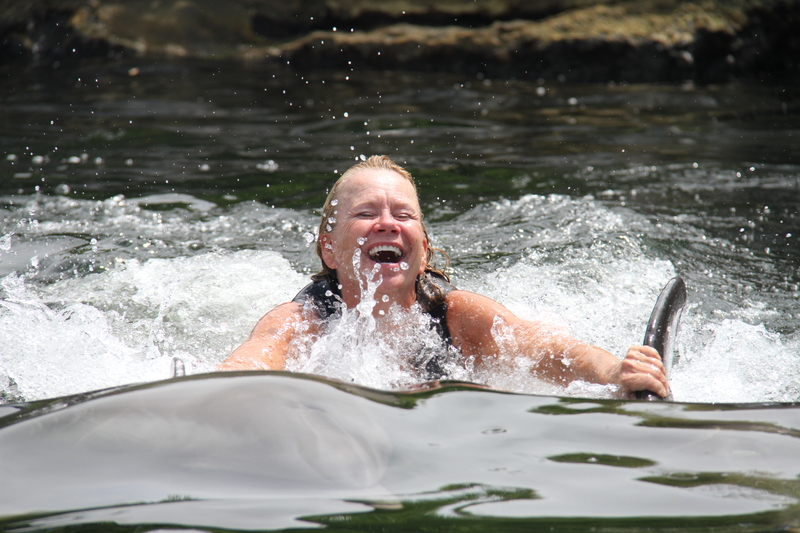 The multisensory experience of Dolphins gliding through the water, breathing through their blowholes is magical and mesmerizing. 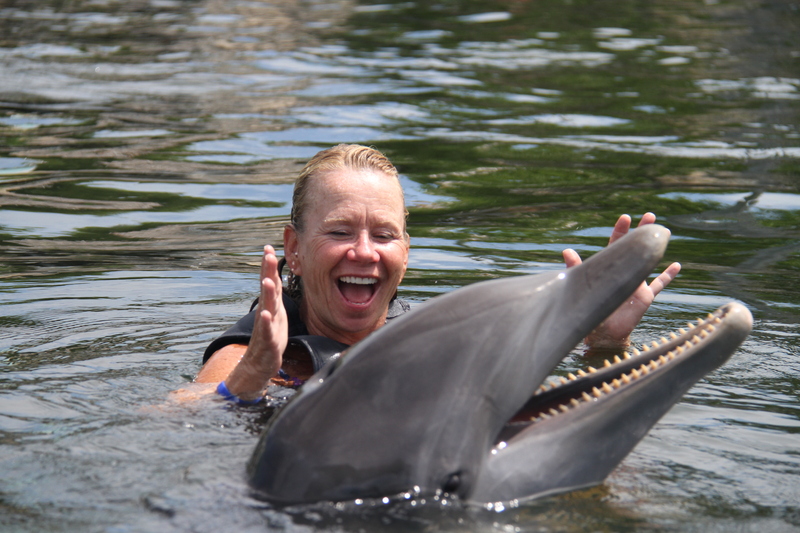 My experience was nothing short of amazing prompting me to apply for an internship at Island Dolphin Care, a fascinating facility offering Marine and Dolphin swim programs to disabled children, veterans and their families. Dolphins are such soothing, spiritual and playful beings; they connect and communicate in powerful, positive and permanent ways. I was glad to learn that Dolphins are only allowed to work for two hours per day. What if people had to live by the same rule, and were expected to invest the rest of our time learning, exploring and enjoying life, bringing joy to others in the process? What if humans were as intentional and intuitive as Dolphins, consciously choosing every breath, eagerly engaging in playful interaction, pursuing passion in every opportunity that arises? I believe we can be, but it will take effort, and as much unlearning of old habits as learning of new ones! So why not try it? Breathe intentionally, live intuitively and do something you have never done before! I know you will be glad you did. After all, it is not usually the things we did that we regret, but the things that we didn’t do!